Screen Porch and exterior steps lead to fire pit and hiking trail to the New River. 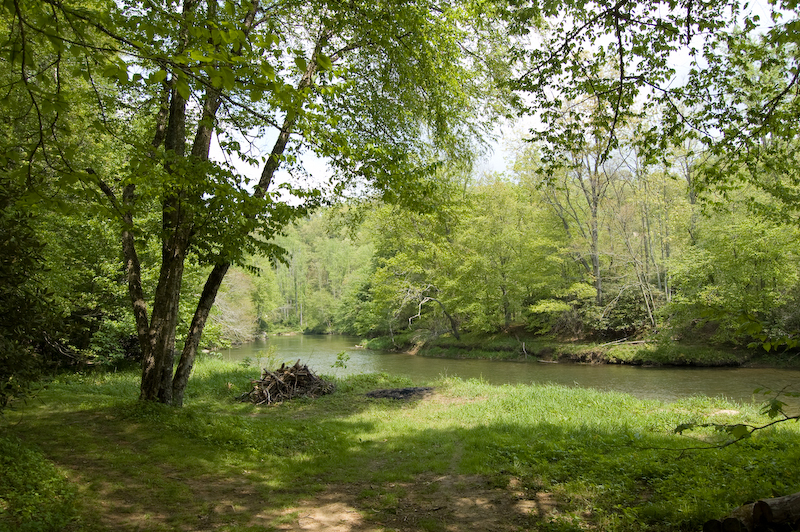 Access on the New River for Fishing, Walking and Lounging. Screen porch and open deck with hot tub. Kitchenette, with full size stove, mini-refrigerator, microwave and coffee maker. Open living floor plan with dining area for 6. Wood burning stove and comfy couch in living room. Flat screen TV. Ladder style stairs to the loft. Master bedroom on main level with queen size bed. Open loft with queen size bed on one side. and Two Twin Size beds on the other side. Screen porch with rocking chairs and porch swing. Kayaking on the New River - Rental Outfitters Nearby. River access is more for fishing, walking the trails and lounging. 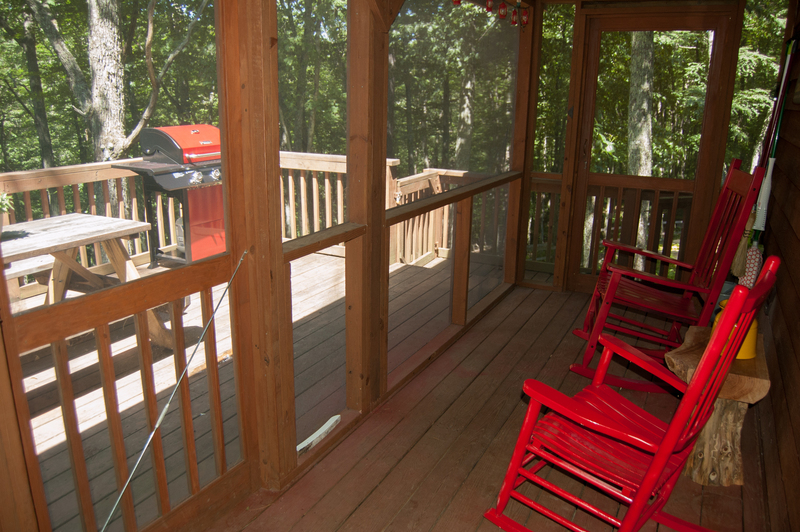 Close up view of screen porch and deck. 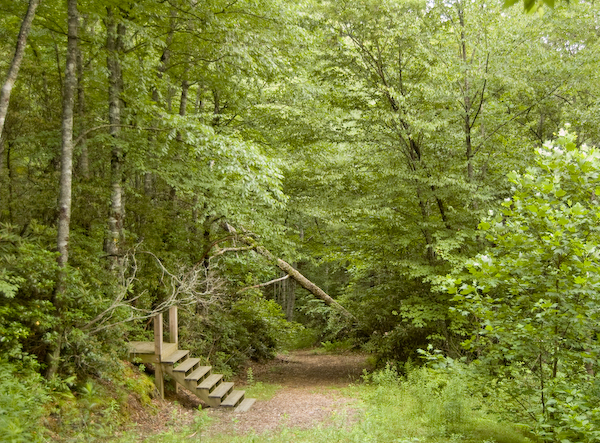 Driveway leading to hiking trail to the New River. Hiking Trail to the New River Area. 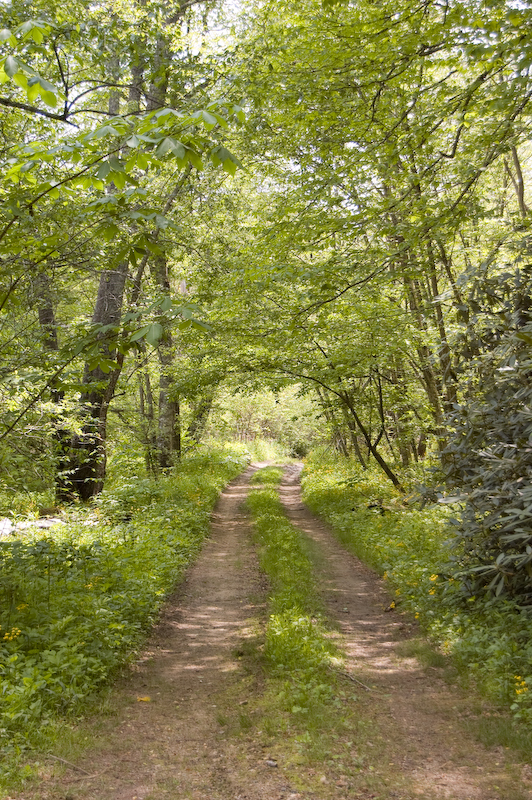 Old Roadway Offers Perfect Walking Trail. Mossy Top, Tucked among the trees and flowering rhododendrons. 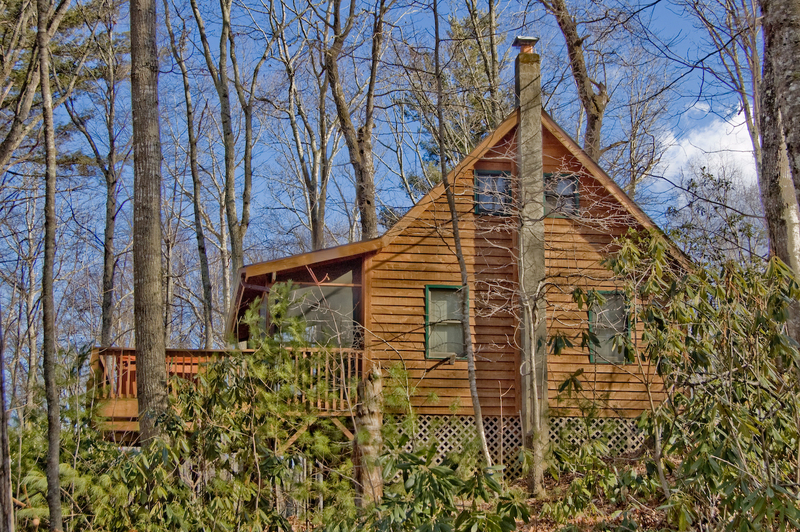 Convenient to the town of West Jefferson, perfectly located along the New River and minutes from the Blue Ridge Parkway is Mossy Top Log Cabin. 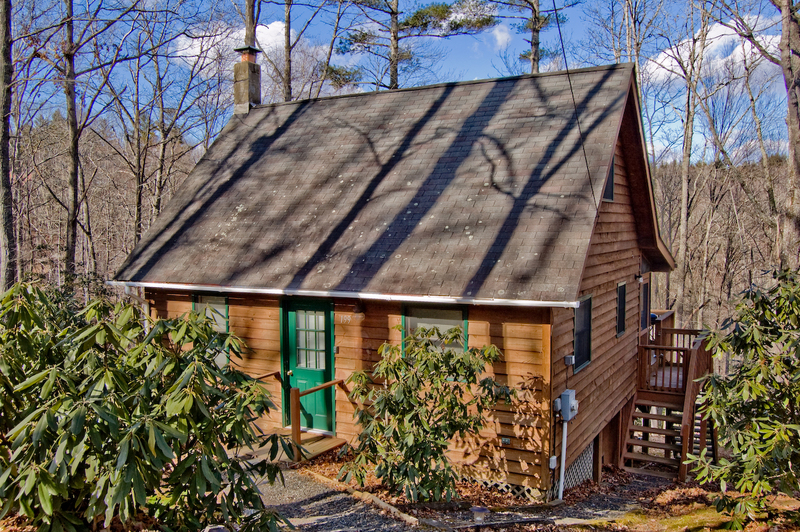 Combining the best activities and attractions nearby this cozy mountain retreat is convenient to everything you're looking for in a NC mountain getaway. 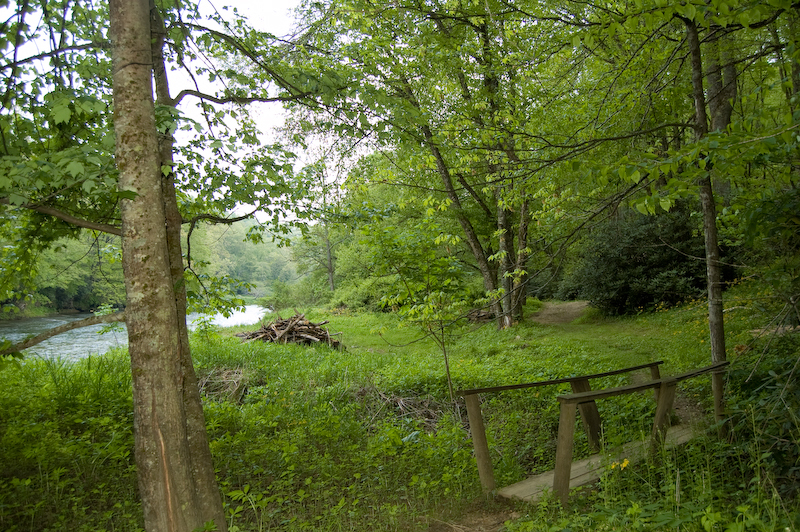 New River fans will love the adventurous hiking trails to and along the historic river. Amazing common area offers the perfect spot for fishing or relaxing. 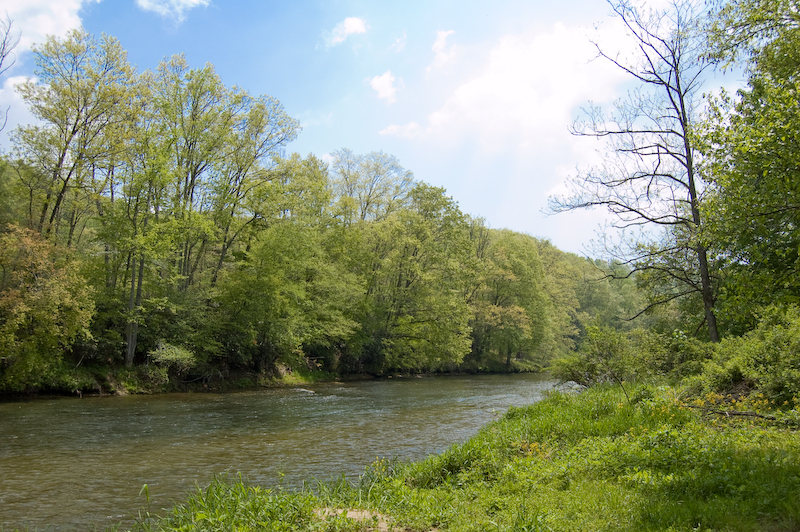 The New River offers some of the best small mouth bass fishing around. Land lovers will not be disappointed either as they will discover plenty of activities nearby along the Blue Ridge Parkway, which offers numerous photo opportunities, hiking and bicycling trails and breathtaking long-range vistas at the many scenic overlooks. The limitless variety of nearby activities is sure to please the entire crowd. With its cozy floor plan, Mossy Top is a rustic charmer offering screen porch, oversized deck with hot tub and lots of windows to bring you closer to nature. The main level offers open kitchen / dining / living area, Bedroom with Queen Size bed and full bath. 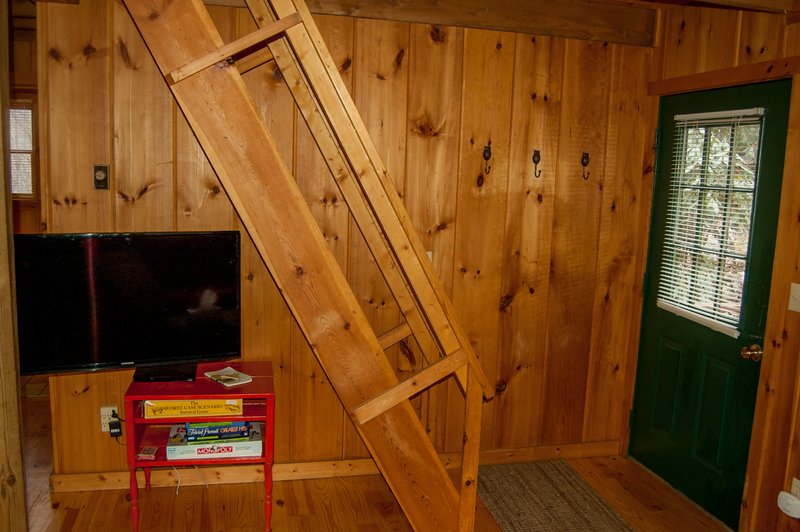 Head up the ladder style stairs to the spacious loft where you will find another Queen Size Bed and Two Twin Beds. 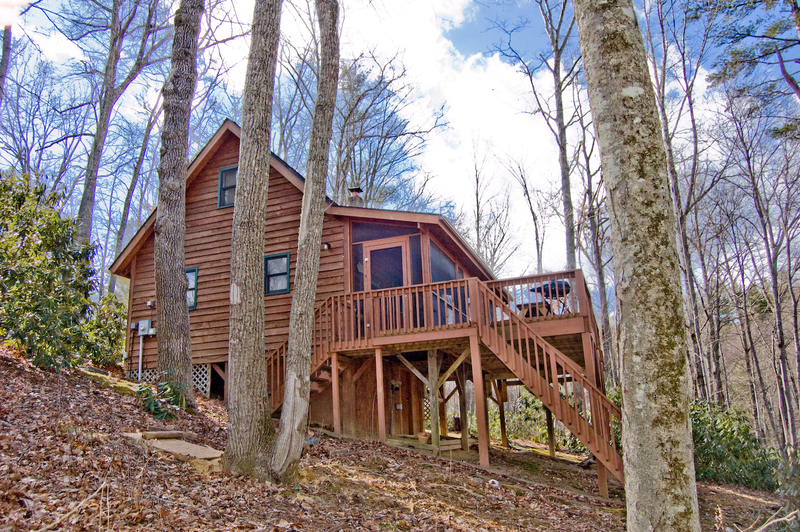 The unique features of Mossy Top Log Cabin, it's mountain top setting and the wide assortment of nearby outdoor recreation possibilities make it an ideal choice for your next visit to the High Country of Western North Carolina. "just as good as the first time"
"enjoyed my stay. was working most of my stay. Used hot tub once and it was clean"
"Cute cabin! Loved the location and wasn’t too far from restaurants and other places! Clean and not cluttered. Didn’t get to go on any trails cause it rained pretty much the whole time. Would return though! Loved the cheese factory near by! " "We stayed at Mossy Top for 4 nights in February and we really enjoyed it! The cabin is quite small, but we found it clean, well-equipped, and comfortable for our party of 3 (parents and a college-age daughter). We particularly enjoyed using the hot tub and appreciated having plenty of good quality towels available. We also appreciated that the cabin was so easily accessible; we've stayed in many cabins in the area and have seen our share of super steep roads and driveways, but no problem here. Even on the day there was ice and freezing rain, the roads to the cabin were safe and clear. One minor suggestion: We arrived on a very dark night and, since the house is a bit set back from the road in the trees, it was nearly impossible to see. While the person who answered the after-hours number was very helpful, some kind of signage at the road would be a good idea. Overall, though, we wouldn't hesitate to stay at this cabin again and would happily recommend it to others. " "It was very nice. Great place. It was very clean and neat. When we got there, everything was ready to go. Couldn't be any better." 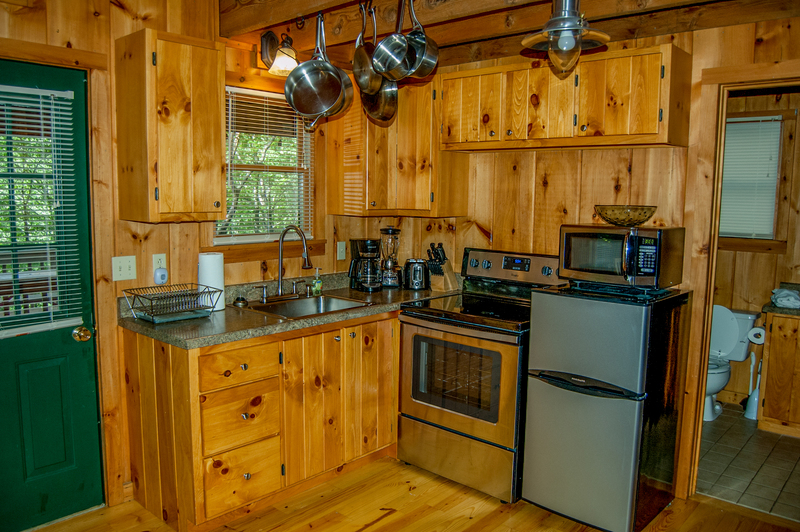 "We rented Mossy Top for the Thanksgiving Weekend and thoroughly enjoyed it and the surrounding area. We couldn't have made a better choice in terms of accommodations and dining and shopping opportunities. One of our best Thanksgiving Getaways, yet. We'll do it again next year if we're still in teh Carolinas." "We loved this property! Beautiful home on a great lot! 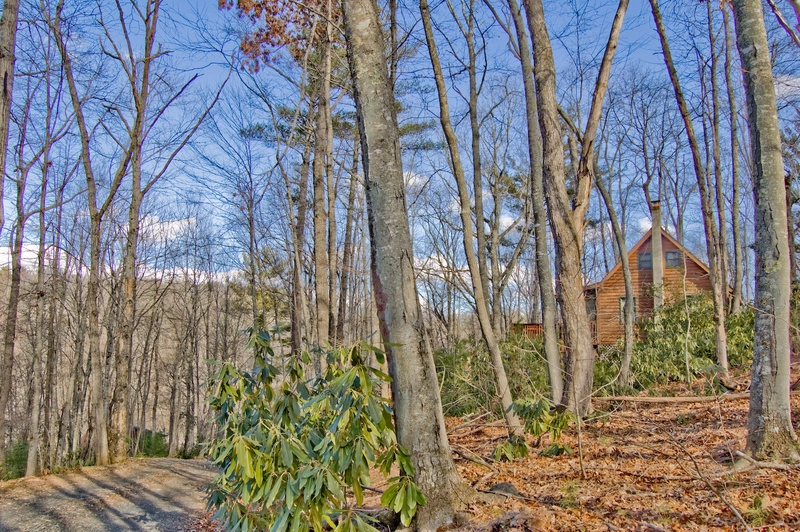 The house is nestled in the woods and the view from the deck is breathtaking! The house inside is very clean and comfortable. Highly recommended this cabin! " "Good location. Quiet, quaint cabin. Perfect place for a weekend getaway. " "We had a very nice visit to Mossy Top cabin. The cabin is not as secluded as the photos would lead you to think, but we found the distant neighbors to be very quiet. The cabin was clean and plenty spacious for two adults and a teenager. We enjoyed the hot tub, which was also clean." "RELAXING, had a slight issue with safety. The only locks on the outside doors were the door knob locks. I would have felt safer if there had been deadbolt locks since the key used has been used by other guests also." "We loved our weekend in the mountains! It was just the right size for our family of six. The location was remote, peaceful and quiet yet close enough to surrounding areas that we wanted to explore. The stairs into the loft would not be suitable for very young children but our teenagers thought them very cool! We couldn't get the DVD to work one evening after we were settled in for the night. Each of us enjoyed the hot tub!" "All was good- clean place etc- only downside pictures dont show other cabins close by- it wasnt a problem being they where vacant while we where there. I like staying in very isolated areas. I cant say anything negative about location-the person i talked to after booking online was fantastic. " We're so happy to hear everything was wonderful and we look forward to hosting you again soon! "Everything was so cozy and clean. This was exactly what we needed in a vacation rental. Beautiful views with friendly neighbors. " "Booked for January but the pipes froze. Ashe High Country was very responsive and accommodating regarding the circumstance. Booked a different location then even canceled and re-booked this one for another date all in one day!" 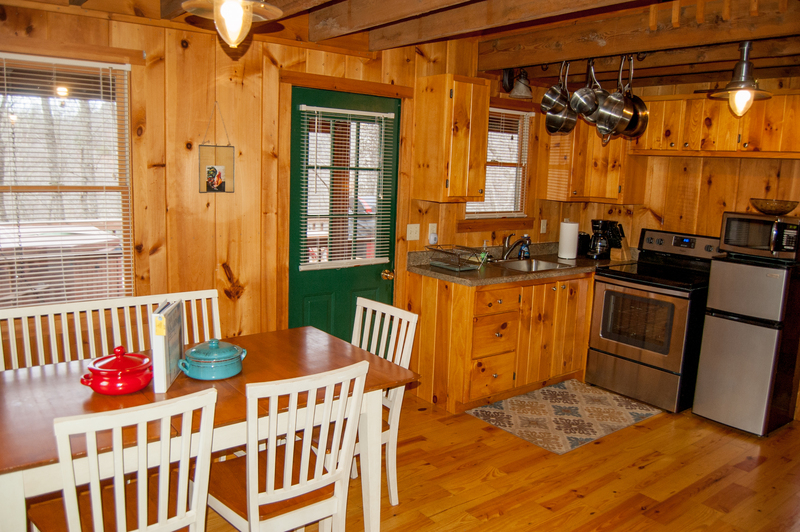 "Beautiful location, small cabin but well laid out and very comfortable. Very clean, plenty of firewood. Hope to come back." "We had a great long weekend getaway at Mossy Top. 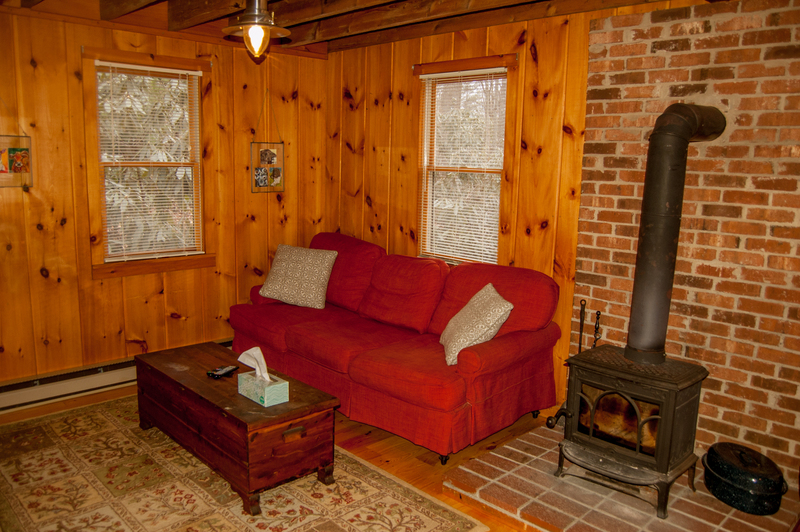 Property was very clean, was a cozy place with the wood burning stove on a pretty frigid weekend. Two comments: there are a couple of ways to get to the property from Highway 163--GPS sent us a roundabout way through a very steep drive and dirt road...better way is take the paved road from 163--Nikanor..much easier to get to the property. Secondly, the loft stairs are fine, but as a caution to families with small children, the loft stairs are a bit inconvenient--either you need a barrier to prevent falls or set up a pack-n-play in the master bedroom or living room. Otherwise great stay, including dinner in West Jefferson one night and Boone the next. Hot tub nice too!" Thank you for the feedback. Future guests please read your check in instructions which say DO NOT use GPS and to instead following the specific driving direction we give you. GPS is very unreliable in this area. "I had an amazing experience at Mossy Top! The pictures don't do it justice. Such a beautifully kept cabin and a serene experience. I will definitely be coming back!" "The cabin was small and perfect if you don't have a lot of people. Everything was right where you need it. Very cozy place, will recommend friends/family. Thank you!" "Went up for weekend trip to get a Christmas tree ? " "This house was the perfect little nook in the woods- very quiet. It was just two of us and we had plenty of room! It was very clean. We enjoyed every minute of our stay! Only downfalls were no dishwasher and the tiny shower." Location is wonderful as one feels out in the wild but really are very close to West Jefferson! Cabin was very clean and comfortable! Fridge is tiny, so I would only rent again for myself and spouse. Fridge is way too small to host most families over 2." 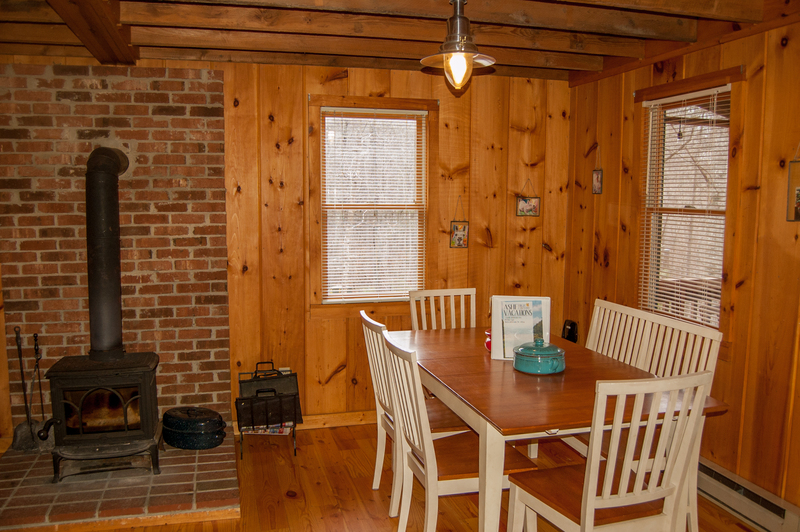 "This cabin was a great peaceful retreat for a get away with my husband. The hot tub was great and the grill and picnic table on the deck was a nice touch It is a short drive to rafting and kayaking and downtown West Jefferson. The only draw back was the extremely small shower. Over all a great place to stay and feel like you are a part of the tree tops!" 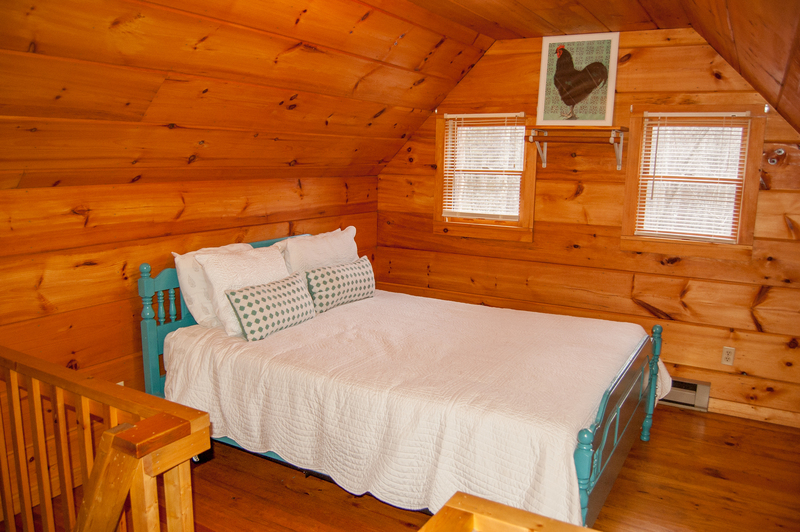 "The cabin was very clean and cozy! We loved the screened in porch and back deck. The towels and bed linens were updated and very nice. We did use the stackable washer/dryer once and it was great not to have to travel home with wet bathing suits and towels from tubing and hanging out in the hot tub. There are neighbors on both sides and below but we never had an issue with noise. Special touches like the hairdryer were much appreciated because I completely forgot to pack mine! It was just two adults on this trip but I would not recommend this cabin if you have small kids and were planning on them being in the loft. The stairs are very steep and I would be scared they would try to get downstairs to the bathroom during the night. Also, the tv doesn't get a full range of channels and we wished we had brought our roku stick since there's Wifi. Just a thought if you're booking this place and like that sort of thing at night. I would definitely recommend this property to a friend. The directions were great and it wasn't too far to a grocery store or downtown West Jefferson. It was about a 45 minute drive to Blowing Rock one night for dinner. We loved the weekend away and this cabin! " "It was nice, the mattress on the bed is about worn out and the pillows were terrible. The shower was exceptionally small. the refrigerator was small." "Excellent Condition, good access, very close to West Jefferson downtown area, and roomy enough to bring older kids for the loft beds." 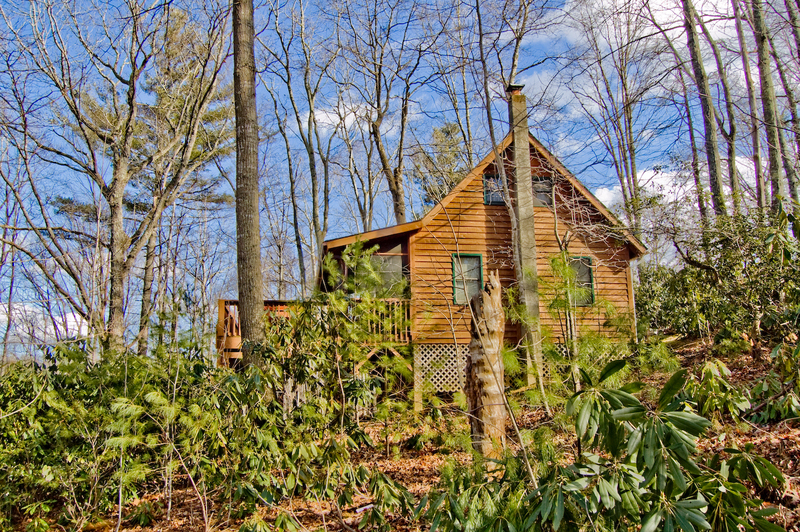 "We came up for Merlefest and hiking and wanted a little cabin to come back to. Mossy top did not disappoint. I brought three teens (17 and 19). Instead of kids going off on their own, we hung out together, enjoyed the stars, cooking together and of course the hot tub. Only down side is the stay was too short. There is a lot of nature to explore and West Jefferson looked so cute to explore." "I was in town visiting my boys who live in West Jefferson. I rented the cabin so we could have one on one time. I loved the cabin and my boys did too. It was private and comfortable. I also had no issues getting in and out of the property in my tiny Kia Rio rental car. " "Fun nice excluded place in the wilderness. Do wish the hike to the river wasn't as exhausting as it was but was still nice. Love that there was the hot tub for the cold starry nights and fire pit for bonfires. Overall good stay few things I didn't like was we had to dispose our own trash which was out of the way and wash our own towels and sheets I just felt that should have been included in the stay but that's fine. " "So cozy! 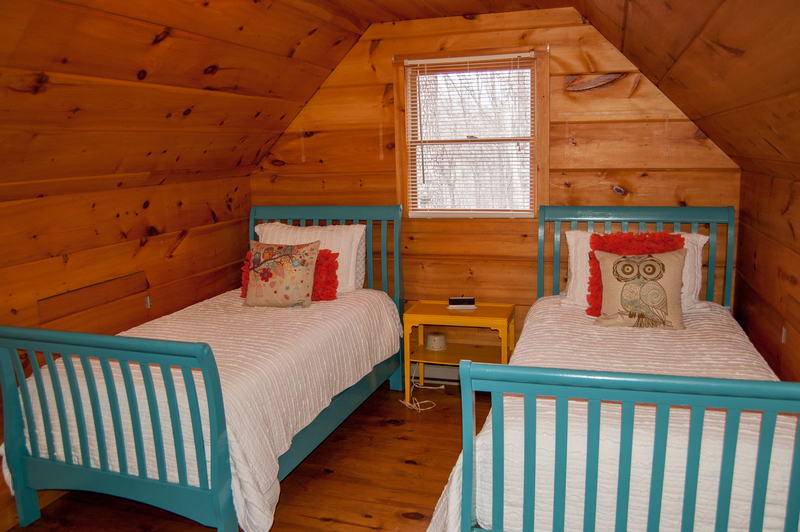 We loved this cute CLEAN cabin! Perfect for a weekend getaway. The screened in back porch was refreshing! Can't wait to go back!" "Overall my six year old twin girls and I had a wonderful time. Mossy Top cabin is a great place to stay. The only minor complaints would be the cleaning crew might want to get a duster with an extension and get the cobwebs from the ceiling corners and also I emailed a few questions to the rental company as they said to do and never got a response. Besides those small things I will recommend it to anyone looking for a family vacation spot in the mountains." Thank you for the feedback and suggestions. We'll definitely have housekeeping address that issues. And we're very sorry your email was overlooked. After digging around we did find it, you replied to the Christmas Tree Voucher email so that's how it was missed. It's better for questions or quick answers to just give our travel advisers on duty a call. 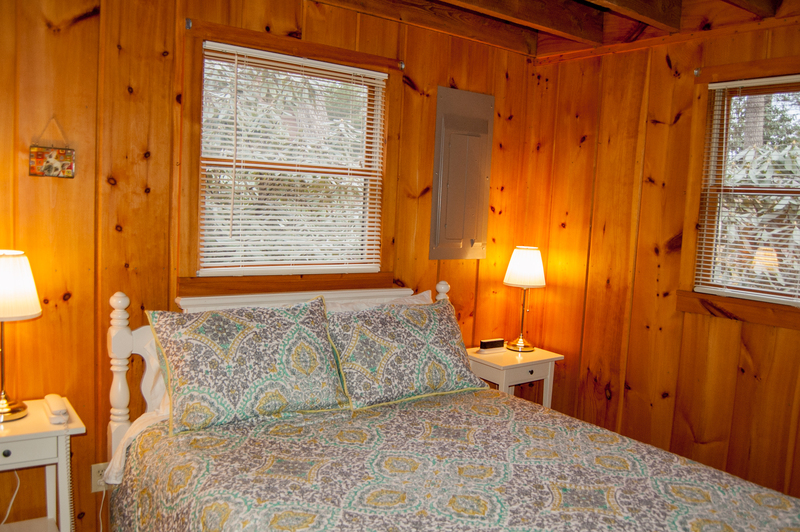 "It was a nice cabin, was clean, & amenities were nice. Enjoyed our stay"
"Nice cabin. Shower small and hot tub jets worn out. Location to town and other areas great." Thank you for your response. We appreciate your feedback and we are working on those. Thank you for staying with us! We hope to see you back soon! "My husband & I really enjoyed our stay in this little mountain paradise. There were cabins close by but they were not rented so we had the place completely to ourselves. The cabin was very clean & well stocked. The only negative was the downstairs bed, needs a better mattress, other than that, it was perfect for the two of us! " Thank you for your response! We are happy that you and your husband enjoyed your stay. We appreciate your suggestion. Thank you again for staying with us and we hope to see you and your husband back soon! "We had a good time. My daughter loved sleeping in the loft." Thank you for your response and we are glad that you had a good time! Thank you for staying with us!
" It was an awesome stay, just a short walk from the river so it was very good for fishing. It was very relaxing. 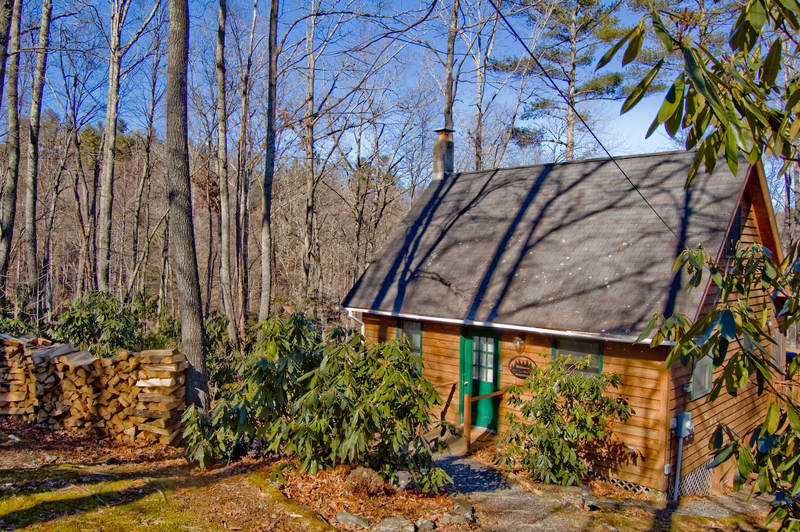 There was six of us friends who stayed very comfortably in this cozy little cabin. There was plenty of space to sit around and catch up on old times while relaxing in the hot tub. We told stories by the fire pit late at night ." Thank you for your response. We are so happy that you and your friends enjoyed fishing, relaxation, and thinking about old memories while making new memories. Thank you for staying with us and we hope to see you soon! "Came to get away from Florida heat, loved the cabin, well planned, clean, BEAUTIFUL VIEW from deck. Comfortable bed, lovely shower, convenient w/d, good hot water supply. Couldn't have been better!" Thank you for your response. We are so glad that you were able to enjoy your vacation. "It was a very pleasant place to stay. There were six of us (my husband and myself and our four children), and although it slept six, it was a bit tight. I guess I didn't really read the description, but one bathroom was tough..another half one would have been great. The area was beautiful, but there were so many trees, we didn't have a view. The cabin could have also used a full size fridge -- tough keeping food for a week in a hotel size one. Porch was beautiful and great for morning coffee and evening drinks." "Sadly, this cabin wasn't quite up to snuff for our weekend. While the location was great, the cabin could use some cleaning and updating of furniture and a fridge. The upstairs loft was adorable. We felt that if the loft vibe and fresh, clean decor were carried to the downstairs area, it would be a winner! Cons: musty, mildew smell inside cabin, mini fridge and freezer - definiteley not large enough to accommodate a 3 day, 4 person girl's getaway weekend, old couch, not enough living room/comfortable seating for more than 2 adults, STAIRS TO LOFT DIFFICULT FOR EVEN FIT, HEALTHY WOMEN - the "steps" are awkwardly placed and very steep, deck picnic table mildewy, hot tub had no step to get in which felt un-safe, no instructions for hot tub and the jets didn't work, gutters were full of debris so when it rained, dirty, chunky water overflowed to deck, over-grown firepit and picnic area below deck." We appreciate the feedback and suggestions. We are sharing with the owners and have a couple of the items in the works! Overall this cabin is a sweet little getaway, be sure to read all the reviews. "We had an amazing time at this cabin... the power did go off for over 24 hrs but the owner was very accommodating in making our stay great... we will live to stay at this cabin again... maybe as a honeymoon spot one day :) it will be a special place in our hearts for sure.... "
"It was very nice and comfortable. The hot tub, porch swing and rocking chairs were great to sit outside and relax. The management were very accommodating to us. They were very nice and easy to work with! Would definitely recommend! The only down fall was that there were ants in the kitchen area." "Nice little cabin perfect for a couple or small family. 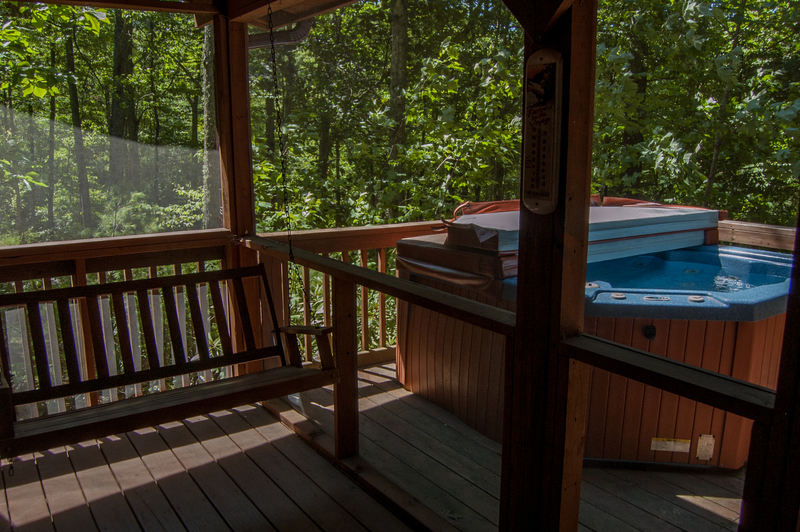 We loved the hot tub and nice area on back deck to relax. " "Me and my two boys, husband, and baby girl enjoyed ourselves. Plenty of space, the place was nice and clean with all the necessities at hand.I would recommend this place to anyone wanting to get away and just relax "
"Our family enjoyed our 2 night stay here. The hot tub was so nice and the beds were very comfy! Over all a nice place to relax!" "The cabin size was perfect for four close friends. GPS did not work to find the house, so highly recommend printing directions. The stove knob was broken, and there were no directions for the hot tub outside. The heat downstairs was a bit finicky. Additionally, the upstairs layout was represented as two bedrooms in the photos, but was one large room. This worked great for us, but may not be as well-suited for others. Loved the home's location near to Boone but still remote. 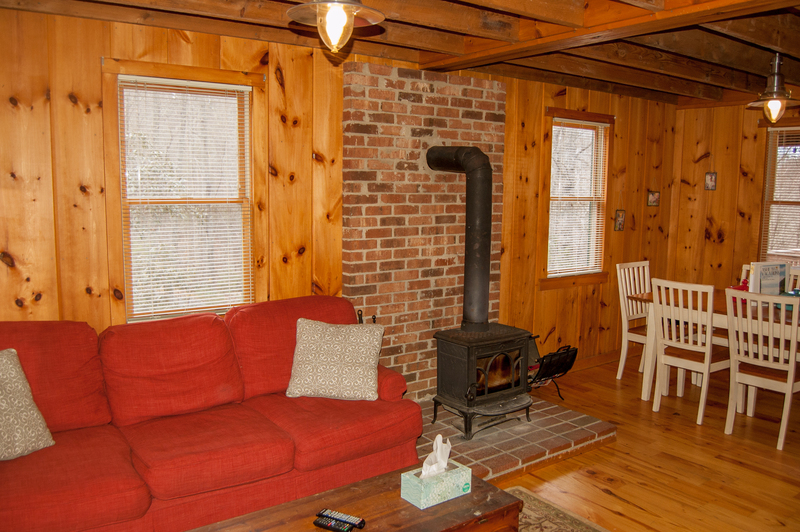 Wish it had been warm enough to enjoy the screened in porch, but the wood fire was perfect!" "Rainy weekend. Still had fun and was able to relax." "Enjoyed the area, and the cottage was very nice, my only negative would be the neighbors dog which seems to want to bark all day and howl all night till 2am. Its Owner obviously was deaf." "Overall we really enjoyed our stay at Mossy Top,it was so quite and relaxing,we had deer walking right by the cabin daily,it was a nice pleasant atmosphere,only real complaint-the track down to the river was a bit farther and harder to walk than I had expected." "Very nice area! It definitely felt like you were at the top of a mountain, without having that long scary drive that it normally takes to get to the top of a mountain. Cute, clean little cabin." "Lovely home that was very clean and ever so quiet! The kitchen was well stocked with cooking utensils. We loved our stay and the young adult children slept upstairs, but be warned the stairs are very steep and not appropriate for young children or older adults. We loved sitting on the screened porch enjoying the peace. Were too busy to use the hot tub, but did eat at the picnic table on the deck. A most enjoyable week. " "Very clean place to getaway and relax. Right on river and mountains. Beautiful. " "This was a nice little cabin for a quick getaway. Very clean and cozy. The wifi was fast and reliable and the TV came with Cable, Netflix and Hulu Plus. The Hot Tub was nice but the jets were a little weak. It's not the best place to hike around the cabin area but within a short drive you can find everything. Convenient to downtown West Jefferson where you will find great restaurants and interesting shops. We were lucky enough to see a local musician at Black Jacks that was an amazing talent." "very nice and comfortable cabin. minutes from small town living everyone in the area is very nice, and a lot of family activities to do close by." "It was great! House was perfect size and had everything we needed, hot tub was amazing!"